In high school I was more into art and I had a friend that did a lot of writing. He got me interested in writing and I got him interested in art. It was fun to see him create some creative pieces of art. I even wrote a short novel but never tried to publish it. It was a fun exercise. In the April 2017 NMRA Magazine I explain how this certificate “snuck up on me” and what I did to earn it. 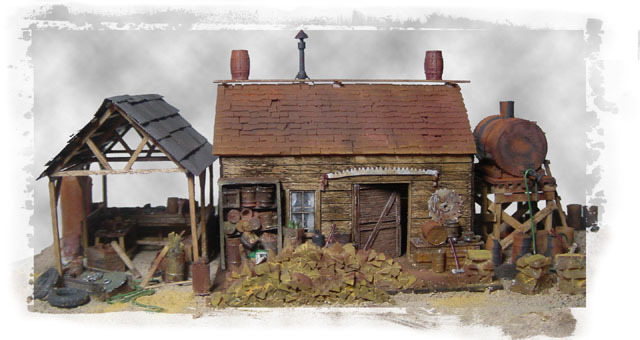 The Model Railroad Author AP Certificate is about giving back to the hobby. Even if you are writing for yourself I have found it can be helpful to others. I did a blog construction post so I could remember how I did it. Imagine my surprise when I got emails from around the world thanking me! 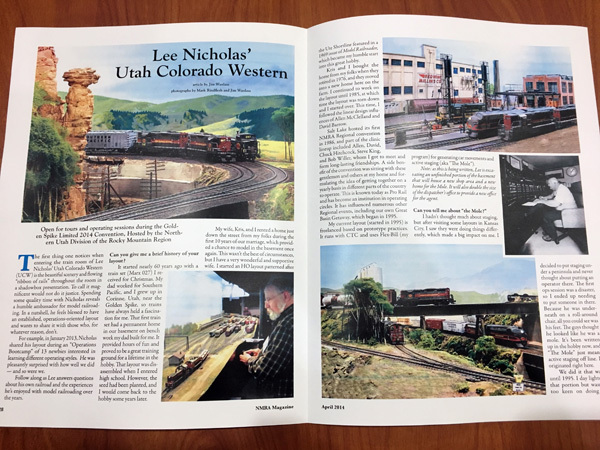 In the end, I used “points earned” from several years of writing a monthly article in the Northern Utah Division‘s newsletter (I have the articles here), an article in April 2014 NMRA Magazine I did to promote our upcoming Region Convention we were hosting, and numerous website articles. 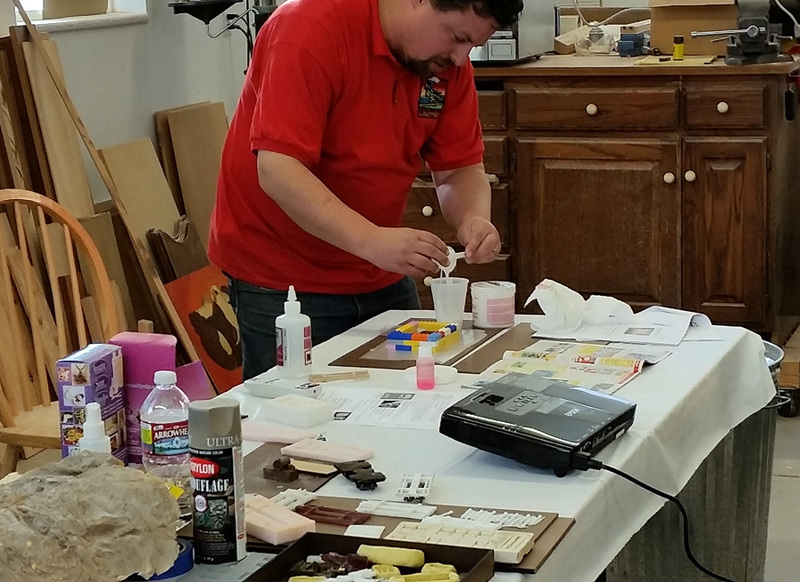 I also did a clinic on mold making and casting which I intended to use for points but realized I had enough points before giving the clinic. The handout for the clinic is here. 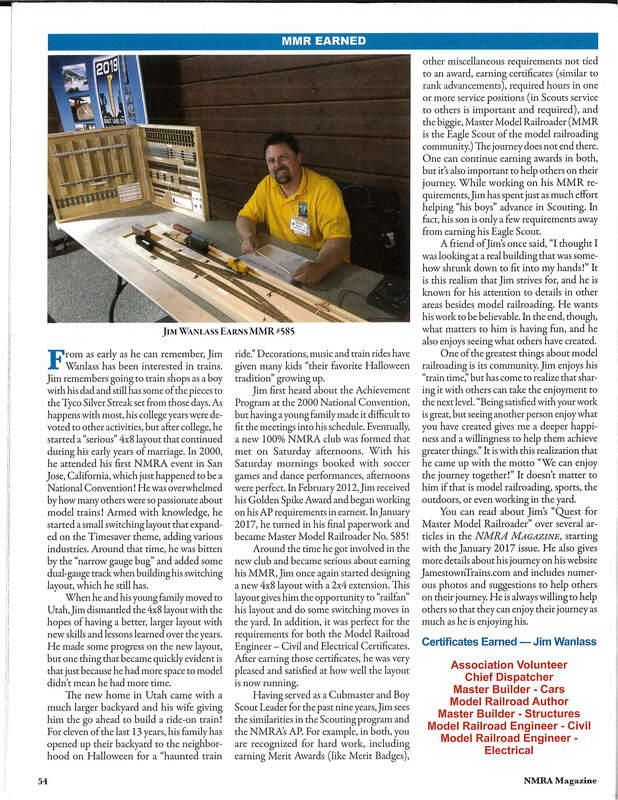 You can read the actual NMRA Magazine PDF article here.